Warm days, cool nights and loads of pumpkin spice latte and muffins appearing. Growing up, I always remember that September was a hot month. Here in California- it doesn't always feel like fall until around October. And so... for me, summer kind of continues to be my state of mind for a bit. But... indeed the calendar does say September 5th today. and I better get with the program. I have barely started adding a sprinkling of holiday and fall decor. 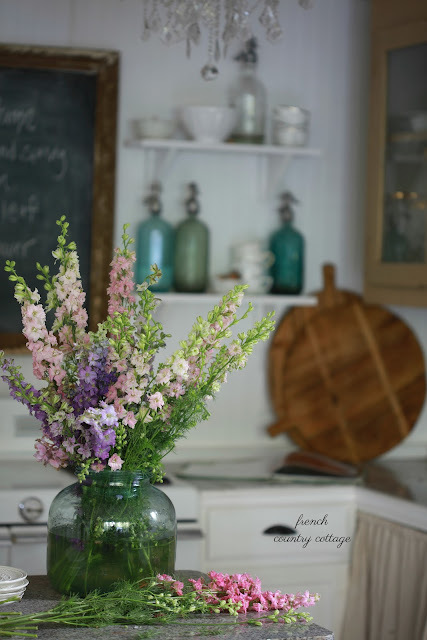 my favorite Farmhouse Bloggers group. and so- a new series called Seasons Of Home is starting up! 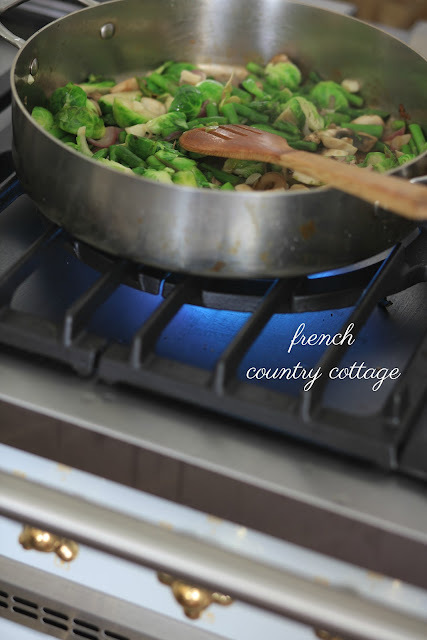 Today- a quick look at the little cottage kitchen- and a recipe. A bunch of larkspur speaks both summer and early fall to me. 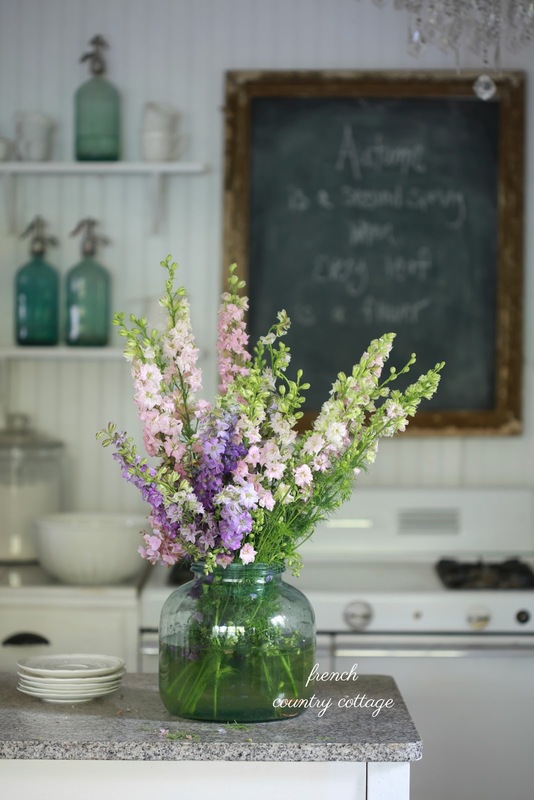 Any time I see a bouquet of wildflowers in a room- it makes me think of September. It seems they are in abundance this time of year- and this larkspur didn't disappoint. 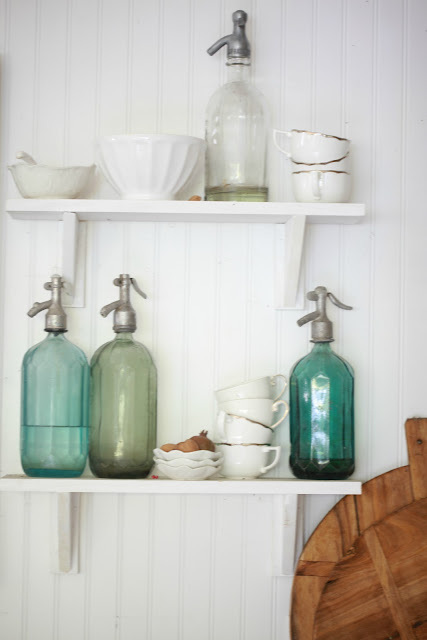 and shelves dotted in blue, green, teal bottles. 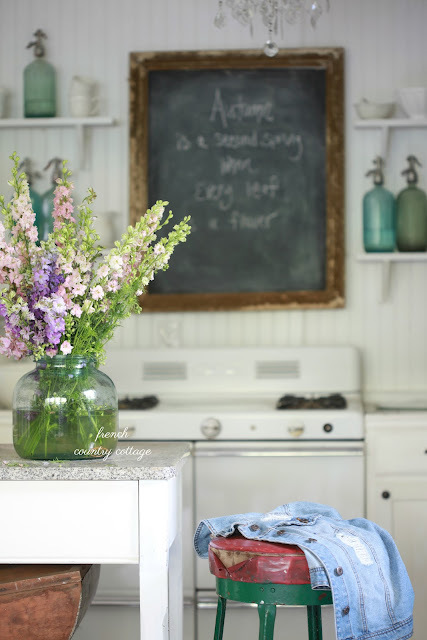 A simple styling in the cottage that is easy to transition to fall with just a few additions. and little baby boo's when they arrive. On the wall near the kitchen- it is all about simple. Old wicker trays and a market basket full of dried florals. 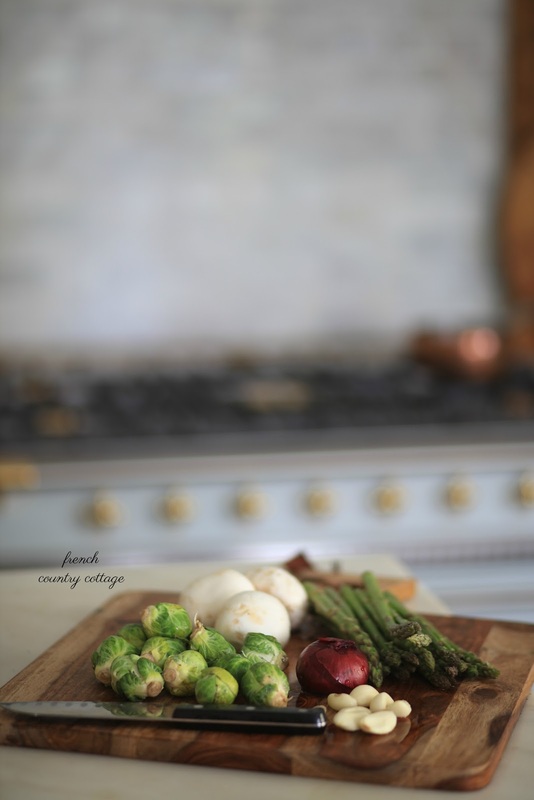 And back over on the counter... a simple and easy dinner in the making. on FB and had so many requests for the recipe. but I am sharing it today for those who asked. This is the easiest most simple most delicious veggie dinner. And healthy on top of it. vegan sausage as an option. and because it is less of a huge bite. Since these are sauteed instead of steamed- they are going to be much firmer and more delicious in my opinion- so I tend to half small ones and third or quarter larger ones. 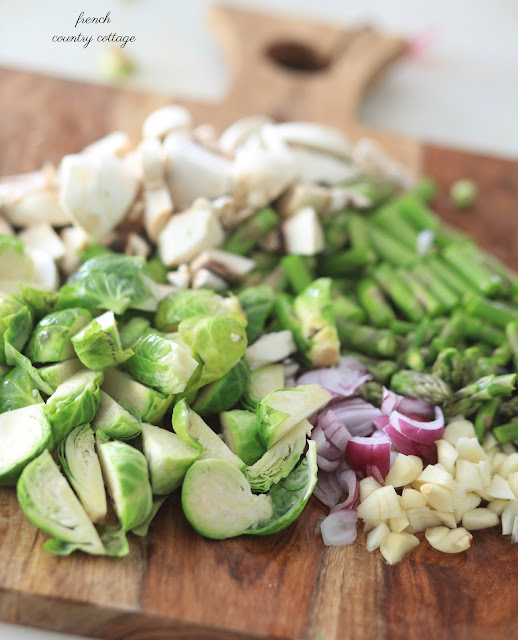 Then cook your garlic and onions in olive oil and then add the brussels. basically, I like them to be slightly browned and slightly cooked rather than crazy cooked. and a sprinkle of sea salt if you wish. And then... get ready to garnish and enjoy. and then top with avocado. I am a big avocado fan- it is another thing that I could enjoy every.single.day. Kind of like coffee. lol. but it does add flavor that you may prefer to leave off. my favorite is Field Roast Vegan Italian Sausage. and good for you to fill up on foods. 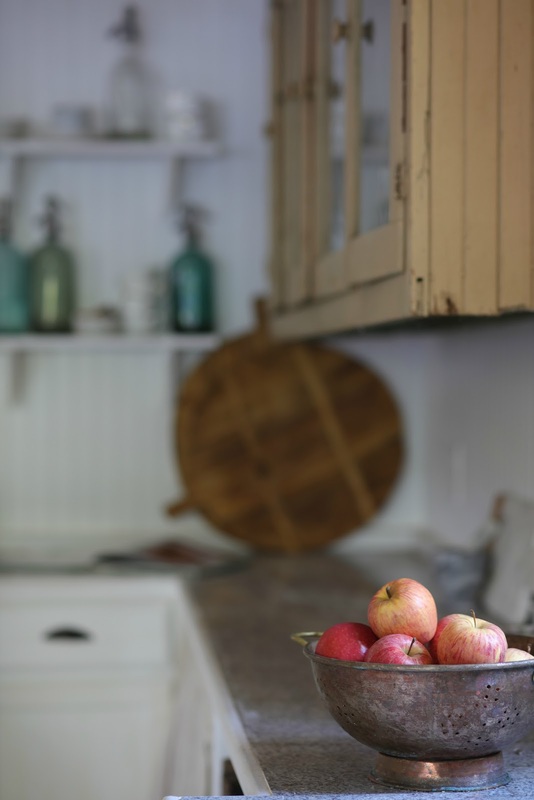 I am excited to be joining my Farmhouse blogger friends who are also sharing some fall stylings in the kitchen- and a delicious recipe. That looks amazing and delicious!! Our fall starts in August sometimes, but I do love a warm October! Happy Fall! I am so not ready. But I am ready for the record breaking heat to quiet down a bit lol. Always so stunning, friend. And that meal of veggies sounds delightful. I need to give it a try. That looks yummy. I think of brussels sprouts as being a winter vegetable and asparagus as being for spring (we get it only in March-April, sometimes early May), but if you can, that must be a great combo. Today I am slow-cooking green beans with a TON of garlic and onion and basil--quite different from sautéeing, but also satisfying, in a different way. (And I can smell them cooking as I type....which makes my stomach growl.) There was an excellent article in the New York Times about it recently. When I make ratatouille niçoise, which for many people means long, slow cooking, I prefer to sauté the vegetables separately, then mix them. The lesson: there are many ways to enjoy the wonders of vegetables, even in the same basic recipe! 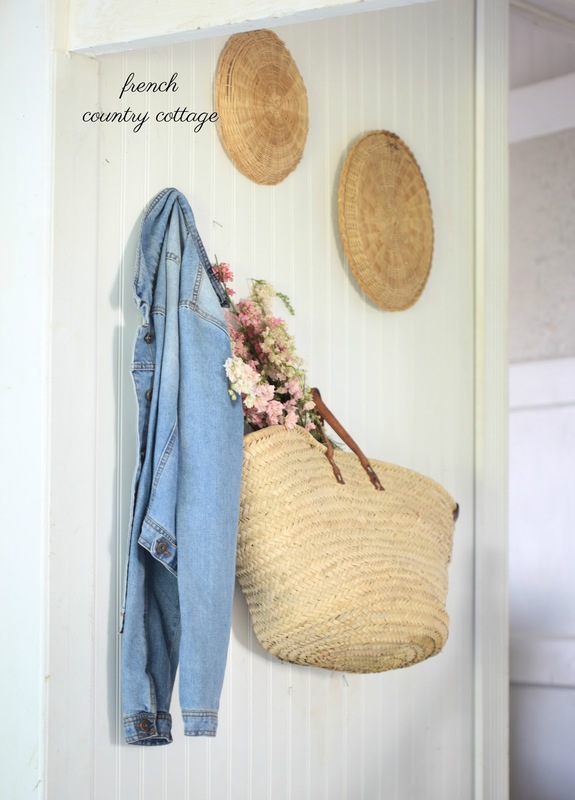 Your cottage is so sweet Courtney! Instead of an apple a day, we do an avocado a day! I love your veggie recipes as they always looks amazing and always looking for great recipes for my veggie loving hubby! 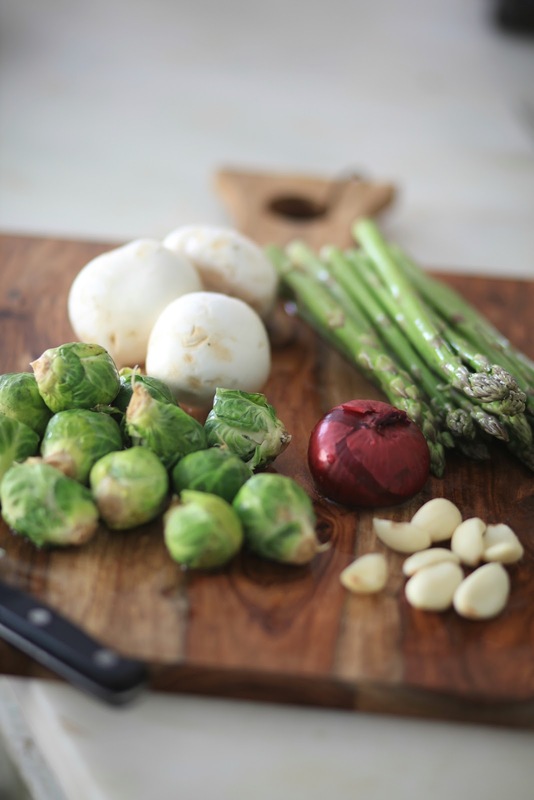 That larkspur is incredible, and those brussel sprouts look delicious. Thanks for sharing, friend! Congratulations, Courtney! I just picked up the October 2017 Romantic Homes Magazine and recognized the picture on the cover and then right there on the front cover it read "Meet Your New Editor, Courtney Allison. Wow. Well deserved. I find your simple suggestions for decor quite charming and inspirational. 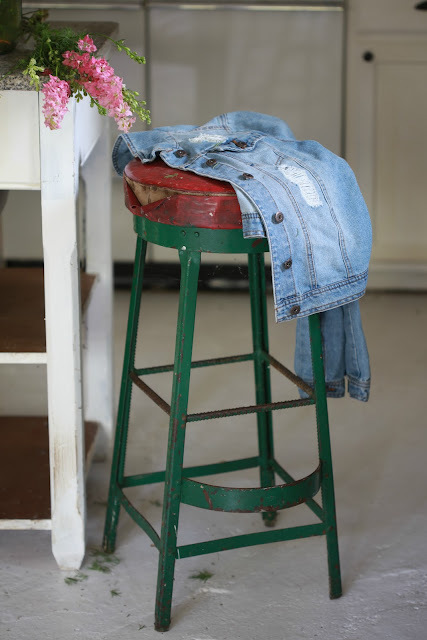 Sometimes, I can get overwhelmed by seasonal changes, but your post was a refreshing reminder to take pleasure in some simple pieces that are very charming. Thanks for sharing. Please share more veggie recipes ! There are a lot of us vegetarians! Al dente is not necessarily a pasta word. In Italian, it literally means "to the tooth". It therefore can be used to describe anything that is cooked to a degree that is not 'mushy' (i.e overcooked). 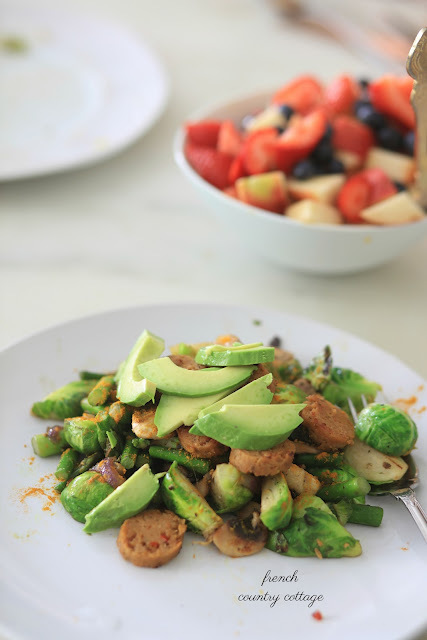 I love veggies too and will definitely consider this wonderful recipe. But as a meat lover I'd just add in some low-fat beef sausage and then probably top the whole thing with some feta cheese, another favorite of mine. Your recipe looks delicious! Thanks for sharing it with us. Your house looks beautiful with all of the pretty touches you have added. Love your recipe-- so healthy and hearty! And I'm in love with your range-- how lucky are you!?! Pretty, always...did you say you have your Christmas trees up? Do you have them up year round? Differing ornaments? Love lit trees..